Color: White Body / Green Leaves with Pink Roses, Blue Forget Me Not, Yellow and Purple Pansies and Blue Trim. 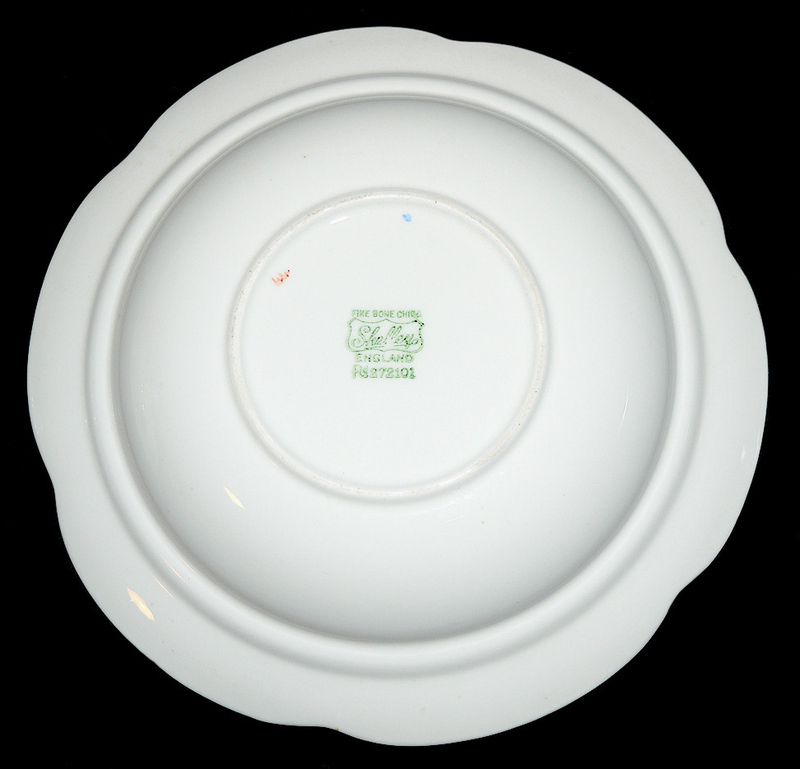 Mark: Signed on the bottom of the butter in green "FINE BONE CHINA" over a shield which has the word "Shelley" stamped inside. Directly beneath that is the word "England." Beneath the word England are the numbers "Rg272101" (PLEASE SEE THE PHOTO OF THE BACKSTAMP PROVIDED). 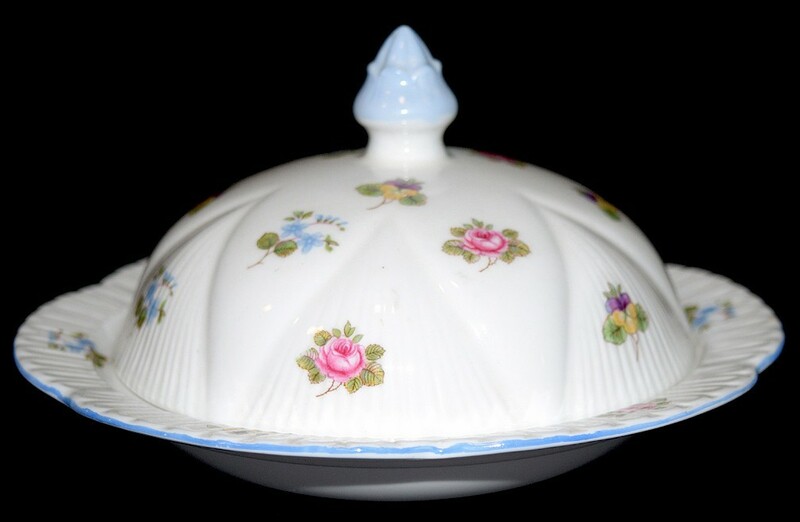 Although this pattern was made clear back in the 1920s the mark on this butter dish was used from 1945 - 1965. 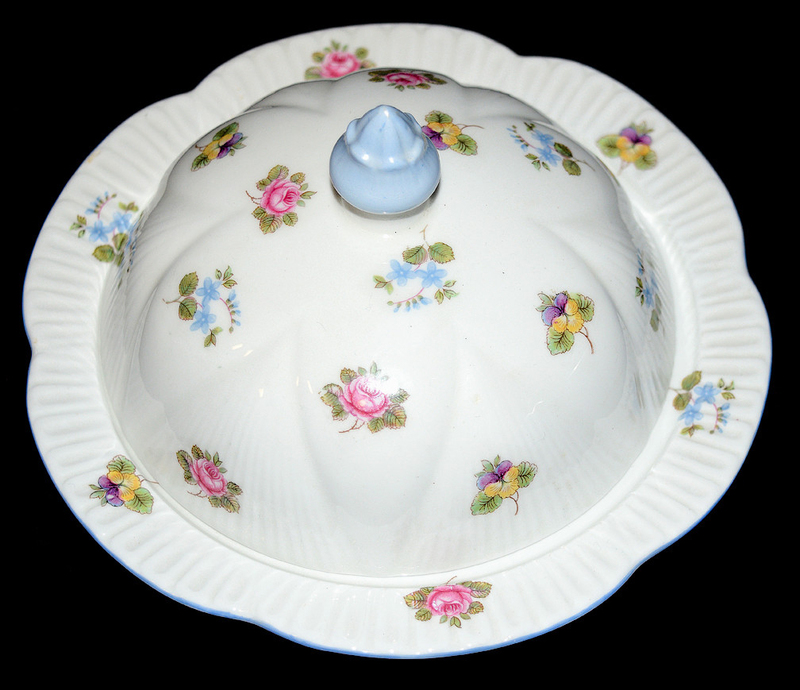 Measurement: 4" H. - 7 1/4" W.
Condition: This pretty butter dish is decorated with roses, pansies, and small blue forget me not flowers. 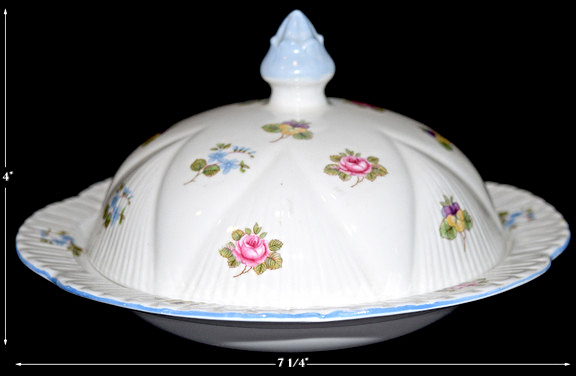 Our butter dish is in Undamaged Condition without chips, cracks, or mold damage. The blue trim decoration is outstanding. This striking butter is on the "Dainty" blank. Shelley made some of the most beautiful fragile fine china. The company produced 100s of different patterns. Shelley Rose Pansy Forget Me Not This lovely pattern comes on the "Dainty" shape as well as quite a few other shapes. The pattern consists of a beautiful arrangement of roses, pansies, and a forget me not flowers. 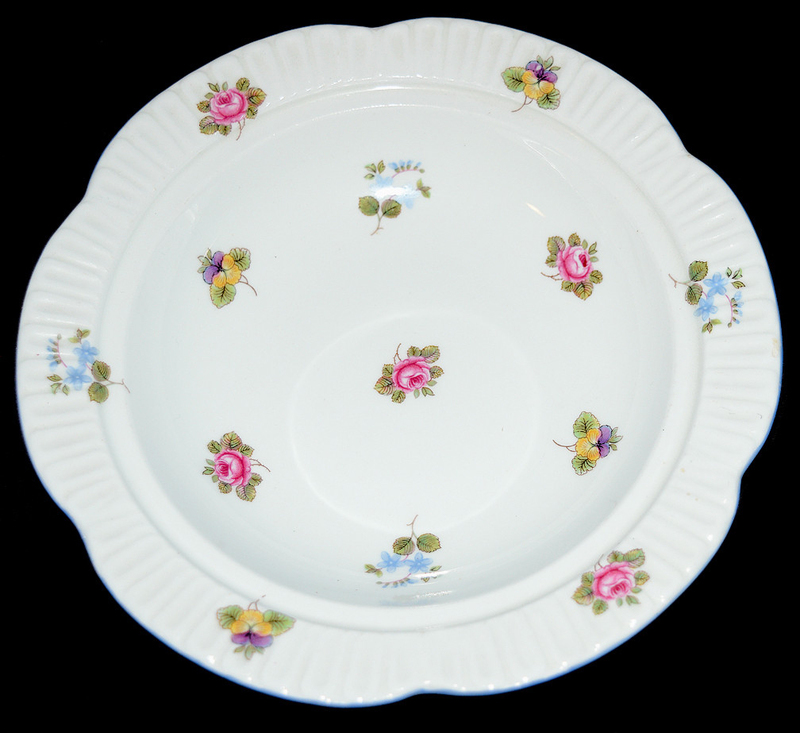 There is a large assortment of pieces to collect in the Rose Pansy Forget Me Not pattern.